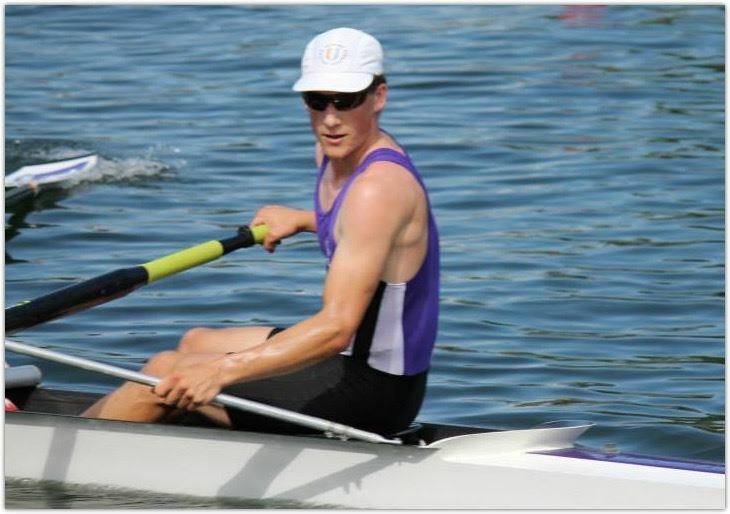 Jarrod found a passion for rowing when he started sculling in high school. He spent two years at North Bay Rowing Club in Petaluma and subsequently joined Marin Rowing where he received his first medal at a national championship. After joining the rowing program at Cal, he won SDCC regattas, a Pac 10 championship, medaled in several collegiate events, and won the IRA National Championship his senior year. After college, he gained experience coaching as an assistant for the Marin Juniors where his 8+ took silver and his 4+ claimed gold. Off the water, Jarrod is the Operations Officer for a gear manufacturing company. He and his team have fostered their growth from a struggling, small business to a thriving and progressive (although still small) company in Foster City. When not at the gear shop or BIAC, he and his wife love to find backpacking adventures with their cattle dog or spending weekends with family. If you'd like to learn more about the BIAC Competitive Team, click here and come join a session. Jenifer has over 25 years experience as a personal trainer and 17 years as a rowing coach for both high school athletes and adults. She walked on to the sport at UCSB as a Freshman and never looked back, rowing all four years on the Lightweight team culminating in a National Championship medal. Rowing is truly a passion for her and she is thrilled to pass that along to young athletes and masters looking to take their skills to the next level. Her main goal is to help each rower not only discover their own strengths, passions and potential but explore this unique sport. As a coach, she has achieved State and Regional Champion success with her masters and junior teams. As a collegiate and masters rower herself, she has enjoyed Regional and National Champion success as well as participating in several Masters World Championships in places like Belgium and Canada, and collected a couple of coveted Head of the Charles medals along the way. 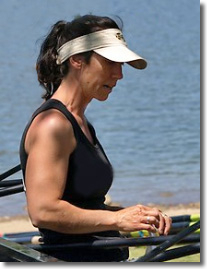 Jenifer’s philosophy for both rowing and health and fitness encompasses mind, body and soul. She believes you must understand where your fitness and skill level is, how it got there and where you want it to go. Her passion and inspiration come from "helping others to achieve goals they did not think were possible, whether it be in the gym, on the water, or in life." Both her coaching and personal training style revolve around form and function, and exercise variety. "As you rise to the challenge, the higher the bar goes." 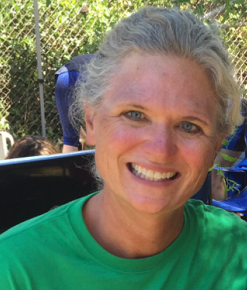 Jenifer is the Open Crew Head Coach, and also teaches sweep rowing technique classes on Sundays with a poetic flare. As a teacher and coach, she has a gift for inspiring a love for rowing and motivation to excel. If you'd like to learn more about the BIAC Open Team, click here and come join a session. Derek started rowing in 8th grade. He tried out for the team in middle school, and got sucked in forever. He won at Royal Canadian Henley in the senior men's lightweight double in 2011 and in the senior men's lightweight pair in 2013 . The win in 2013 was particularly sweet, as it topped off a hard-fought return from injury and illness in the fall university season for both his pair partner and him. Off the water, Derek is an engineer specializing in wind related catastrophe modeling. In his spare time, he's taken up cycling racing, and found himself on the podium a few times recently. When asked what his favorite candy bar is, he says "poutine". Chuck started rowing for Serra Crew in high school, where he competed in local and national regattas, and has been involved in rowing ever since. 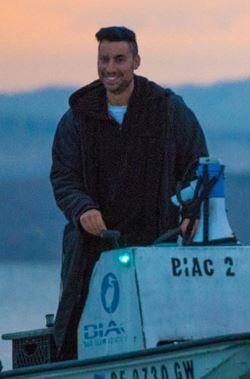 He began by coaching Juniors rowers at Serra and Los Gatos, then served as an assistant Masters coach at BIAC for both the Novice and Open teams. In 2014, Chuck stepped into the role as Novice Head Coach for BIAC masters and leads the Learn to Row program. In addition to coaching masters novices, Chuck competes in Masters rowing events, and is Novice Men's Assistant coach for Norcal Crew. If you're interested in Learning to Row, get more information and sign up for a session! Cleo's first experience with rowing was at a BIAC Learn to Row event in eighth grade. While she didn't quite get the appeal then, she returned to the sport with gusto in college. She walked on to the Georgetown Women's lightweight team in the fall of her freshman year and has been in love ever since. 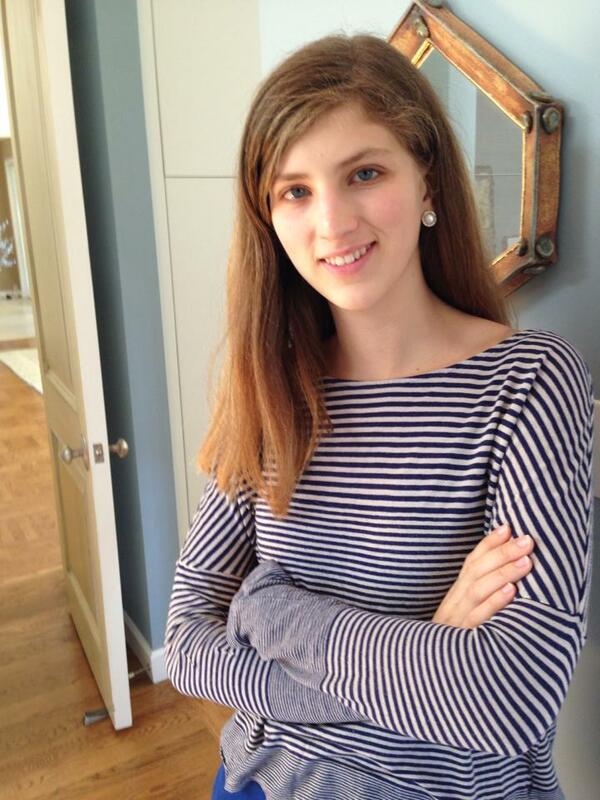 Currently a rising junior, Cleo is taking time off of school to pursue other opportunities. After spending summers rowing a single on the bay, she decided to commit to the sport in a different way by coaching scullers. When not at the boathouse, Cleo spends her time volunteering in the area. Mike Still is an Olympian and World Champion. He won gold at the National Championships, Pac-10 Championships, Olympic Festival, Head of the Charles, and San Diego Crew Classic. He has coached at Stanford, University of San Diego, and UCLA. 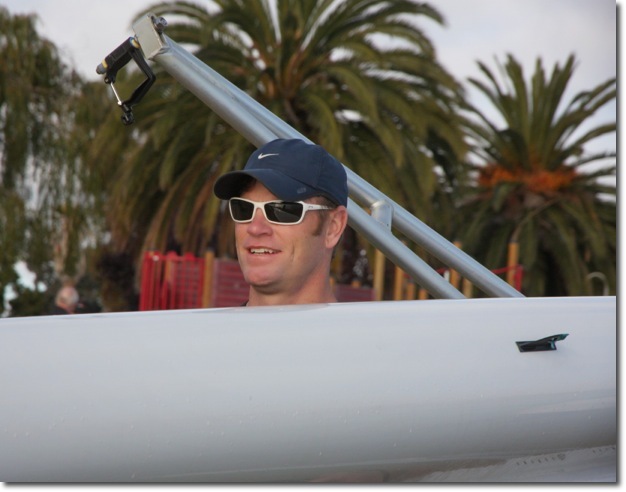 Mike founded Silicon Valley Crew, a rowing program for high school students on the Peninsula. When Silicon Valley merged with BIAC juniors, he was the original head coach for the new Norcal Crew juniors program. Mike regularly competes at the highest levels in Masters regattas on the West Coast and at the Head of the Charles Regatta in Boston. Mike now coaches competitive sculling workouts for BIAC Masters. These practices focus on building conditioning, race readiness, and technique. If you'd like to learn more about competitive sculling, click here to find out more and come join a session. Alice started rowing in 1982 and has been involved in the sport in some capacity ever since. As an athlete she won national championships for the University of Washington and competed for the USA. She then started coaching (over 25 years ago), including as a full time coach for seven years in Seattle, and has coached all levels of athletes from middle school to college, people in their 70s to adaptive athletes, from novice to national champions. Alice's involvement in rowing expanded in the 1990s to include rower, coach and also bureaucrat. She has now been a US referee for over 20 years and passed the FISA exam in 2013. She was chair of the Jr Women's Committee, served a term on the USRA Board of Directors, became the first head coach of Seattle University and was a founding board member of the first rowing club in Arizona, Rio Salado. Most recently, Alice was classified as a US Technical Clinician for Para-Rowing in 2015. All of this points to one thing: Alice is highly enthusiastic about rowing. She now brings this enthusiasm and passion to adaptive rowing at BIAC. When she started rowing most boats were still made for men who were between 6'2"-6'4" and 180-200lbs. Since the mid 1970s boats and programs have been adapted to accommodate a wider cross section of society. What we currently refer to as "adaptive rowing" is a continuation of the inclusiveness of rowing. 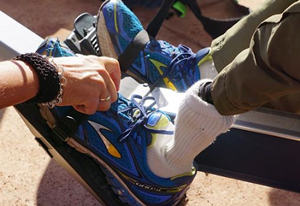 At BIAC we have adaptive athletes who are mostly in a chair, have a prosthesis and other physical limitations. We also have a partnership with the VA (US Dept. of Veterans Affairs) to facilitate Veterans rowing, either for wellness, rehab or competition. If you have questions about adaptive rowing OR would like to volunteer during an adaptive practice, click here to email Alice directly to get started! For Junior rowing programs, see NorCal Crew Coaches and Serra Crew Coaches. For paddling, see Hui Wa’a Outrigger Canoe & Kayak. For dragon boating, see Dieselfish, Lightwave, and Stanford Dragonboat program information.